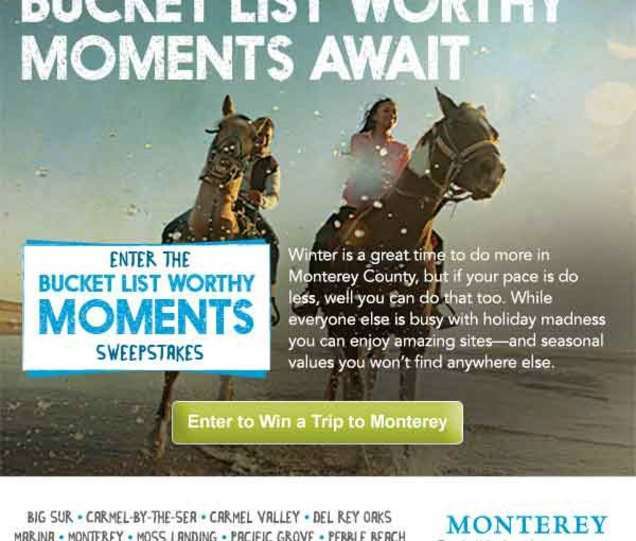 “Bucket List Worthy Moments,” the MCCVB’s winter campaign and sweepstakes, received more than 59,000 entries—our most successful sweepstakes ever! The campaign ran from December 1, 2016, through January 31, 2017, and promoted visitation to Monterey County during off season months. As part of the sweepstakes, participants selected a two-night hotel stay and up to five exciting bucket list worthy activities.